Pictures convey powerful visual energy, but words capture the heart. Capture not just where you’ve been with photos, but what those places, and the experiences have changed you. 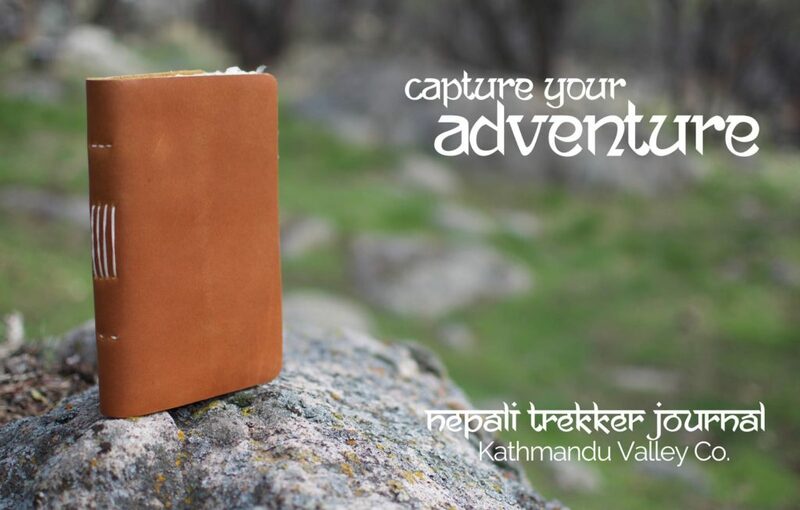 Kathmandu Valley Co. is pleased to announce the new Nepali Trekker (Caramel) vintage journal which is vegetable-tanned with mimosa bark. Kathmandu Valley Co journals are made in Nepal with handmade lokta paper from cuttings of lokta bushes. The bushes grow in the Himalayas of Nepal. The bushes are cut, but not killed and regrow within only a few years maturing at about five to seven years. The inner bark from the cuttings are cooked into a mashy pulp and then spread by hand on boxed screens which are set out to dry in the Himalayan sun. The drying process fuses the fibers together, creating one of the most unique papers in all the world. Looking closely at a lokta page, you can often seen the fine texture left behind by the the boxed screen. Deckled edges (similar to rough cut) give the journals a truly vintage feel, making the paper is unique, textured, and full of rough edges…just like life. Enjoy yours!